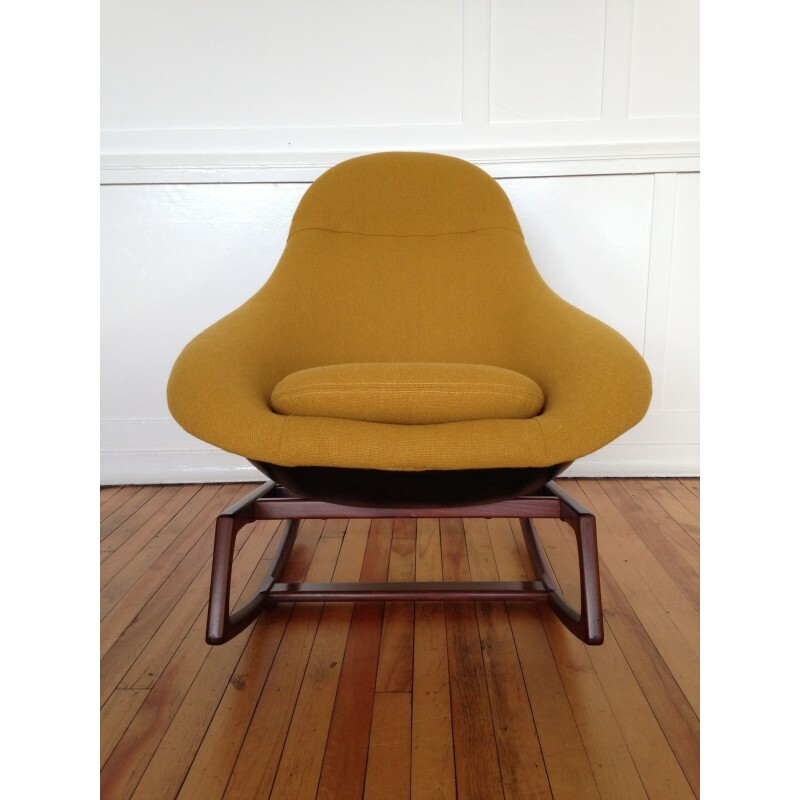 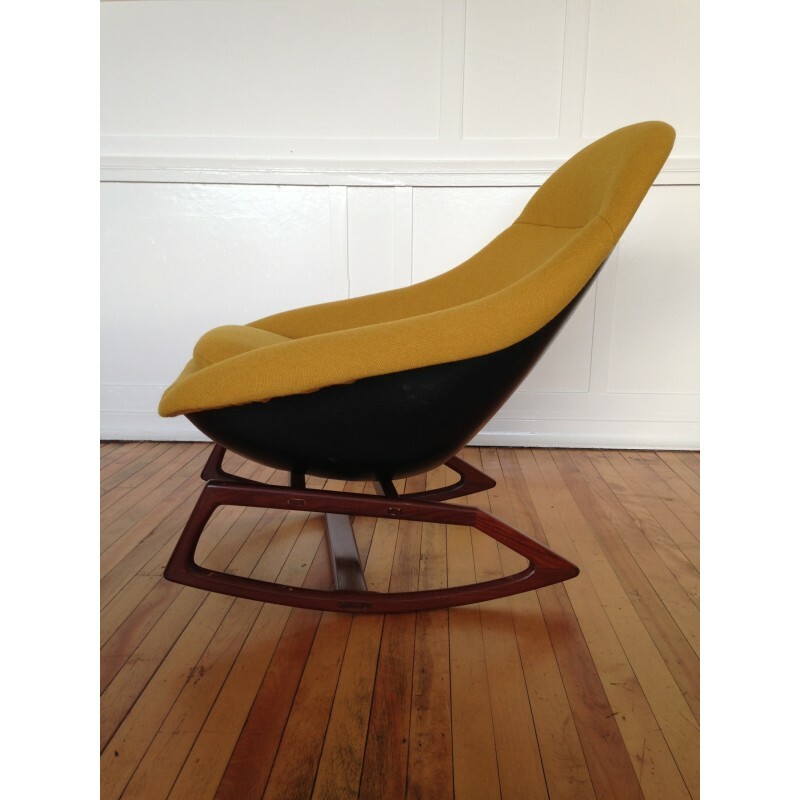 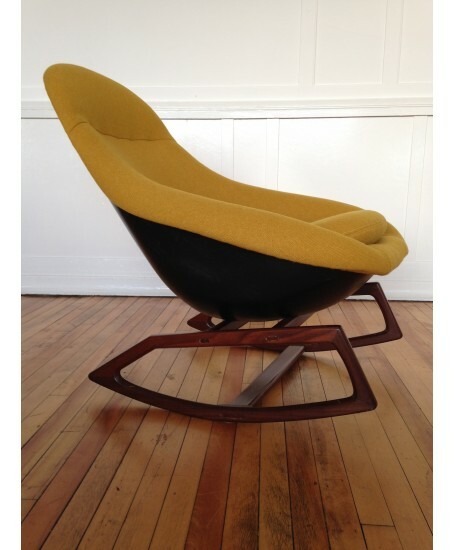 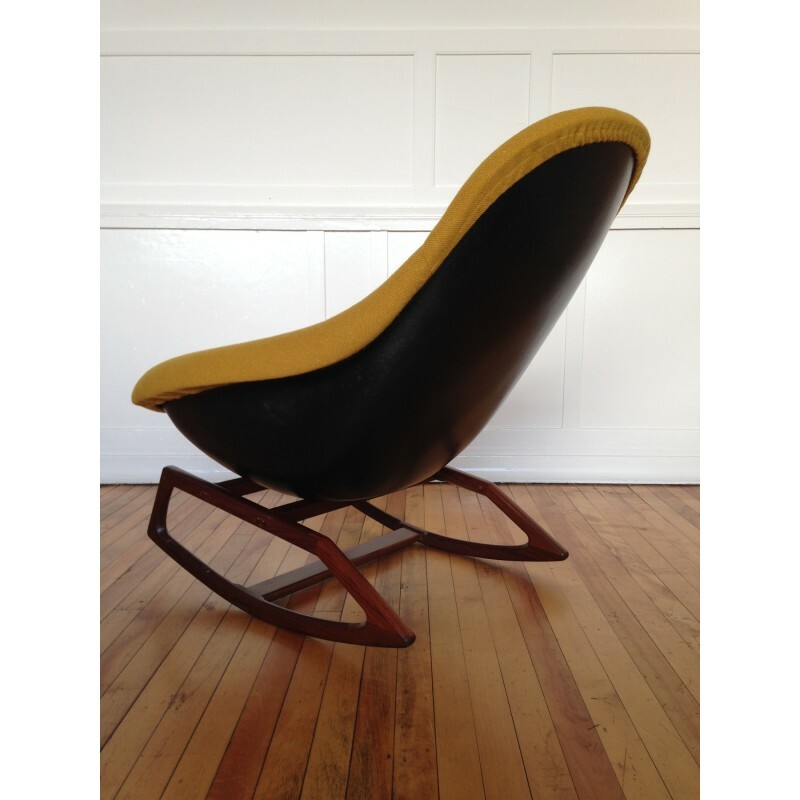 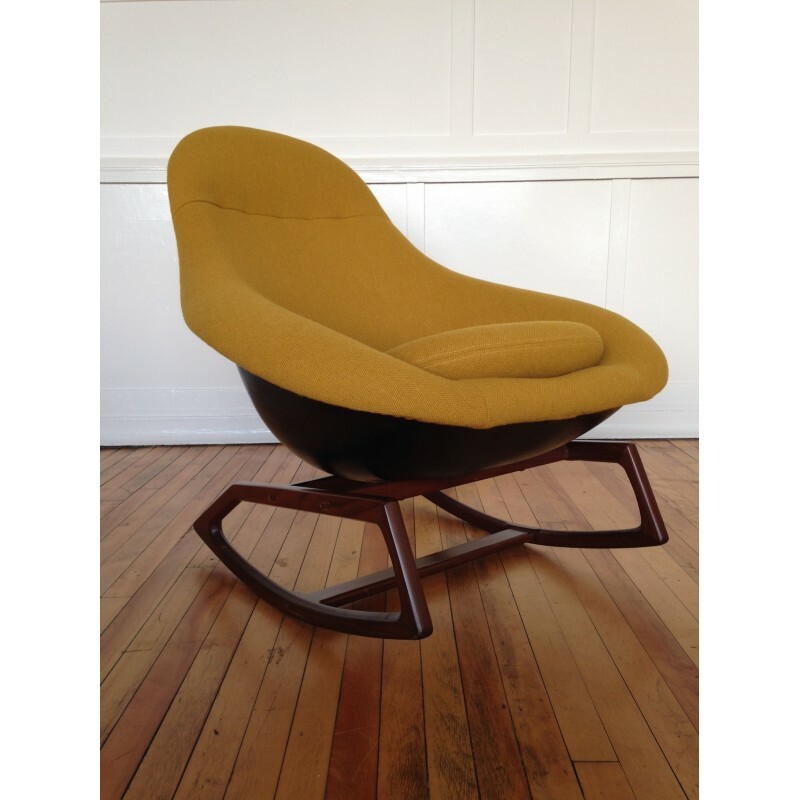 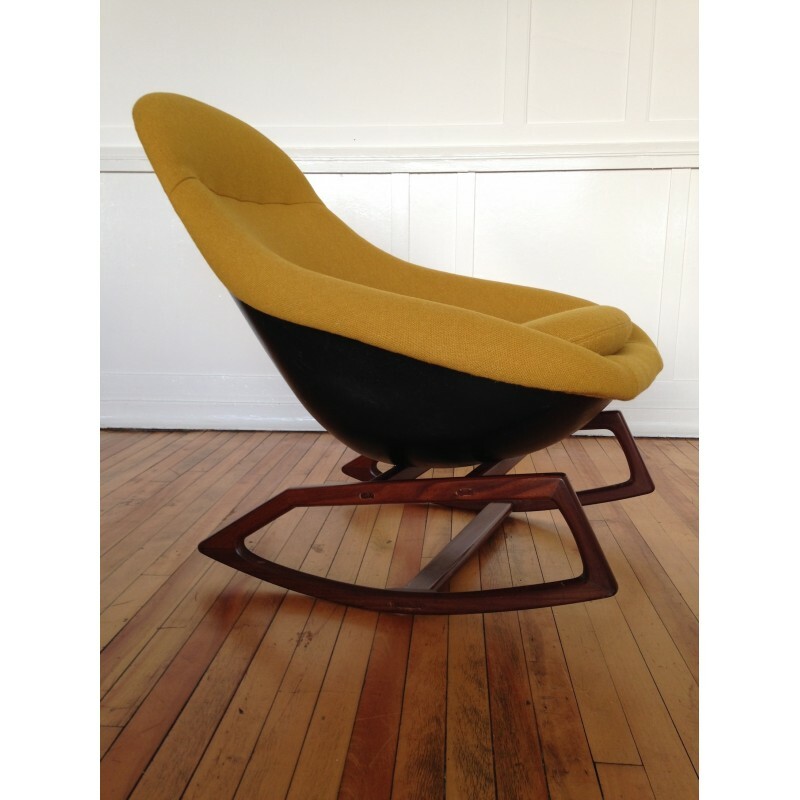 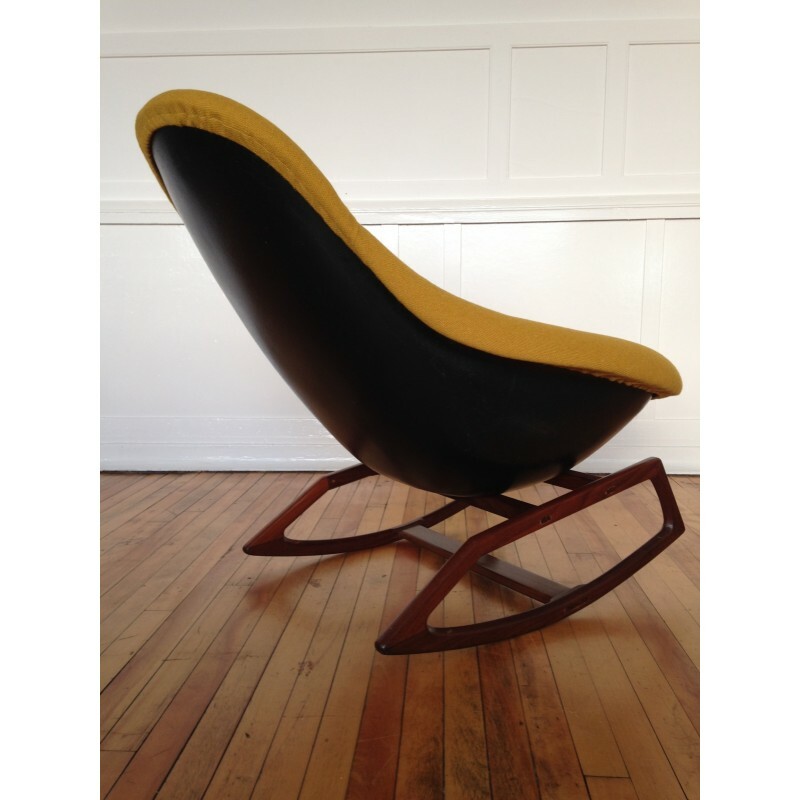 A very rare and absolutely amazing 1960's Gemini rocking chair, designed by Walter S. Chenery and manufactured by Lurashell in the UK. 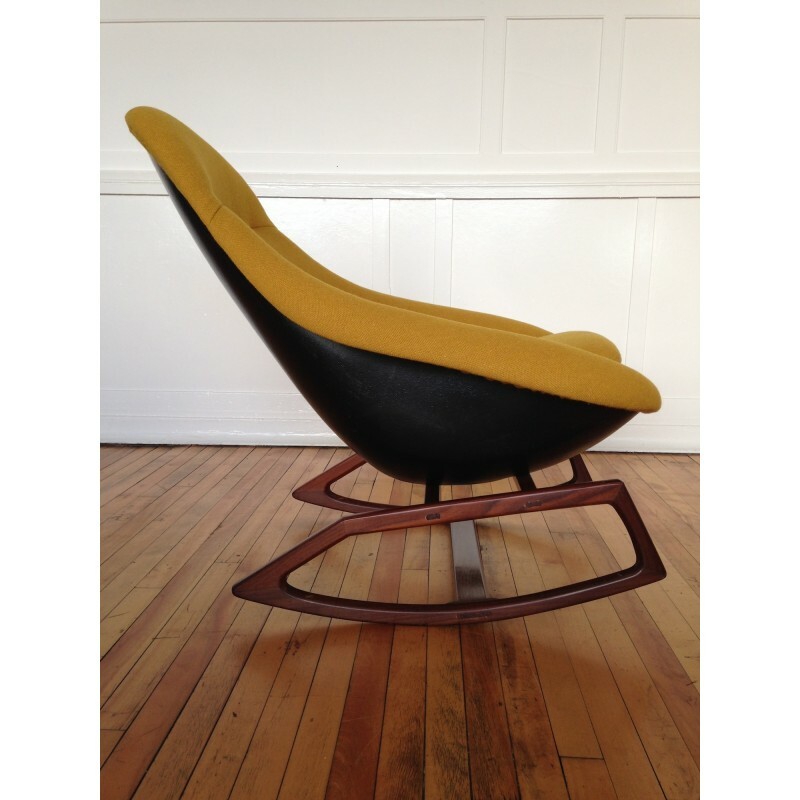 The fibreglass shell is in excellent vintage condition with only minor signs of wear. 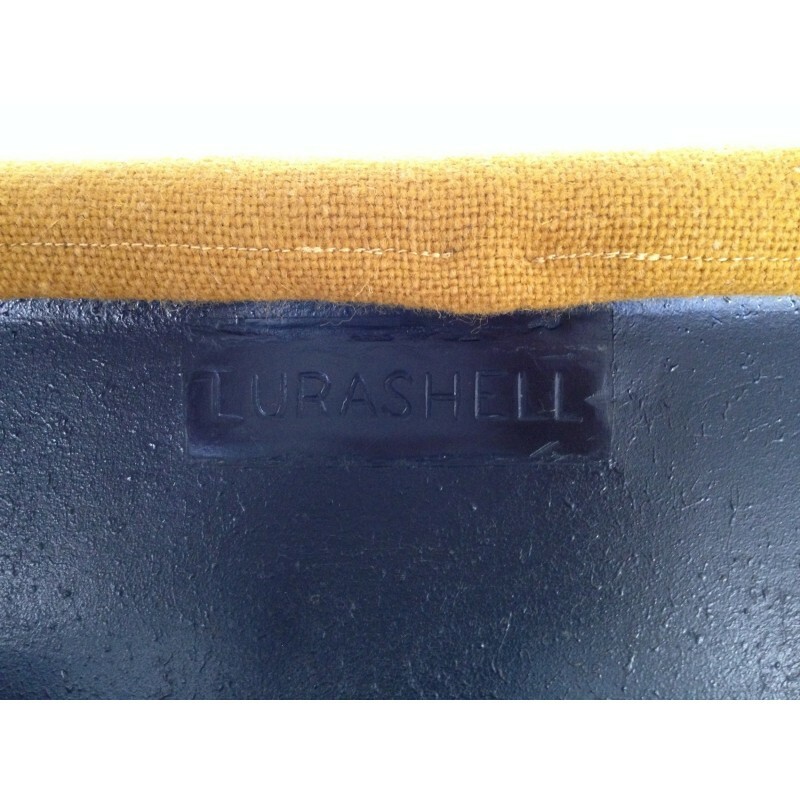 The original foam has been completely removed from the shell and we have fitted and shaped new foam throughout. 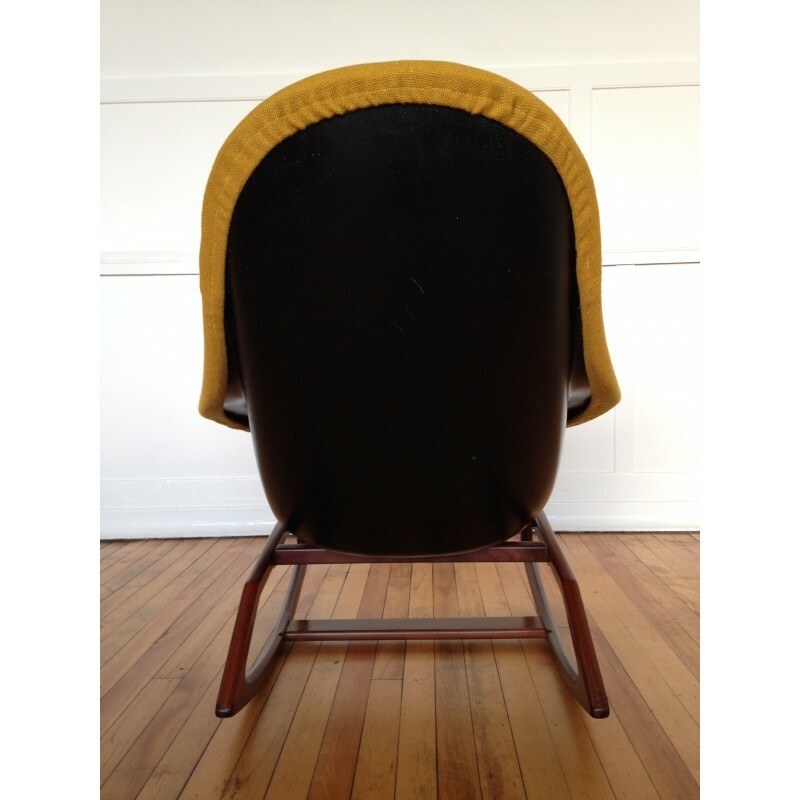 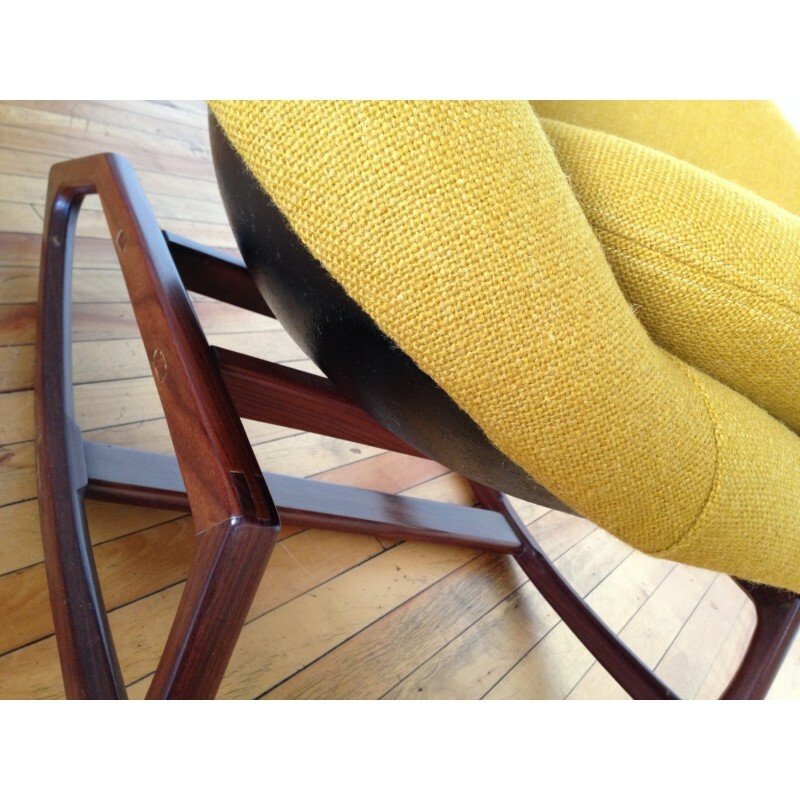 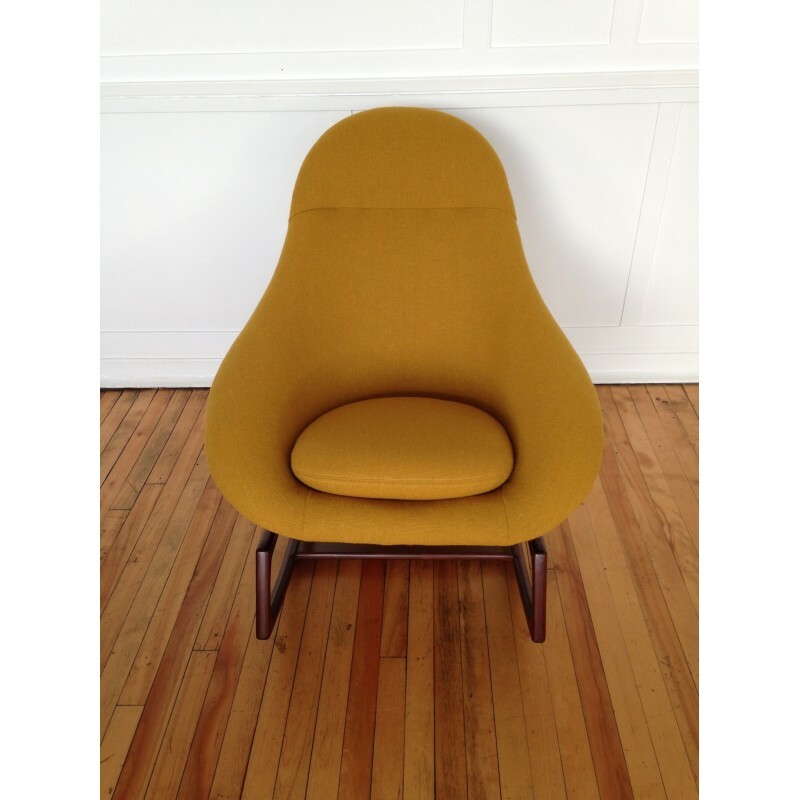 We have then reupholstered the chair using a beautiful Bute tweed wool in mustard. 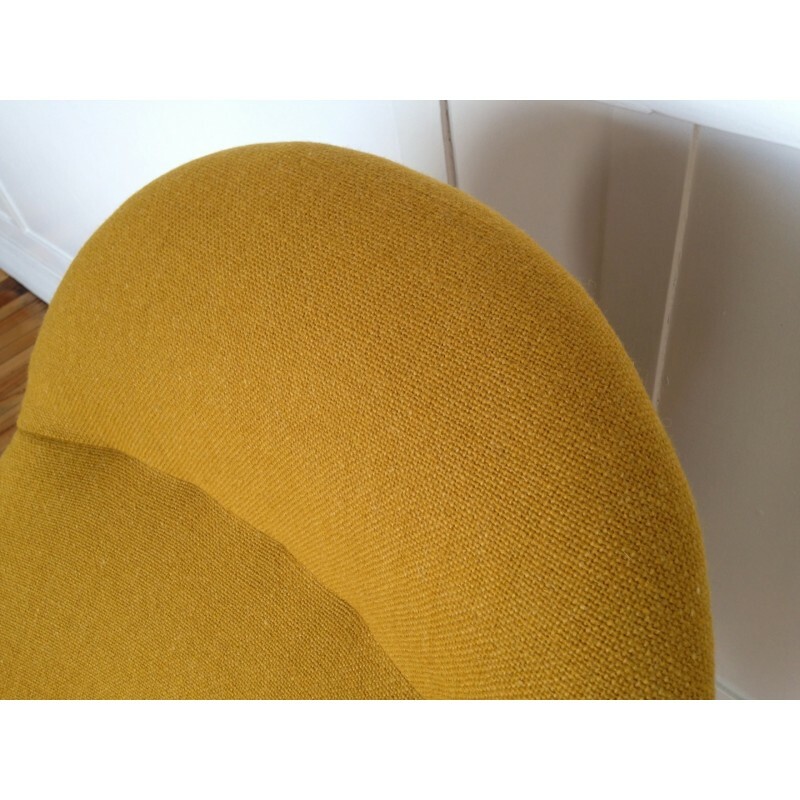 A sample of the fabric can be provided upon request. 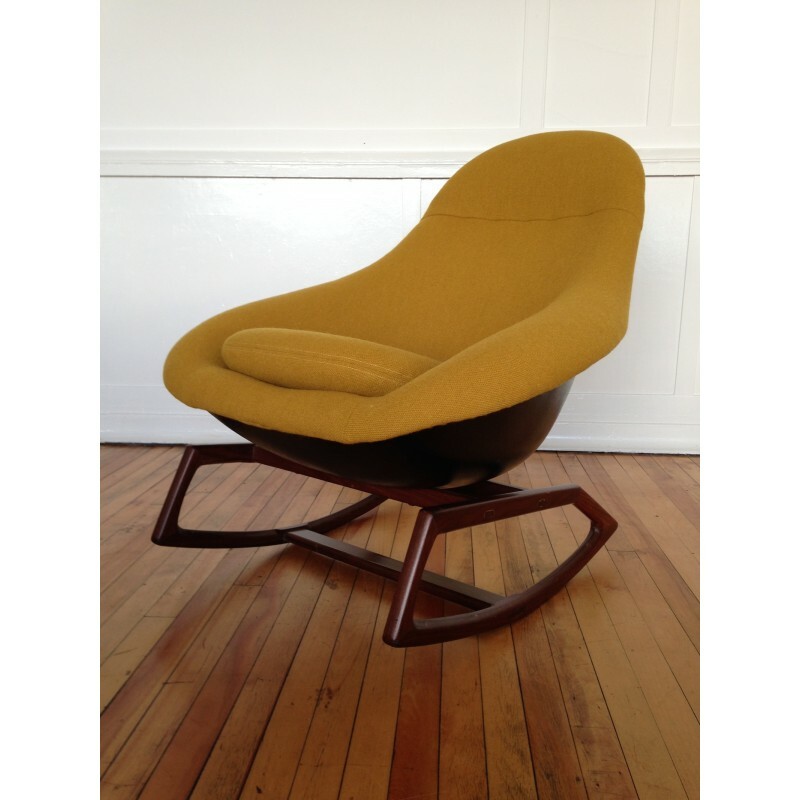 The afromosia teak base has been cleaned/repolished and is in excellent vintage condition too.